The challenges facing the bottled water industry in Ontario are significant. As well as the normal competitive and other business pressures that all companies face, the industry has come under increased scrutiny from the Ontario government led by Premier Kathleen Wynne, under the auspices of the Ministry of the Environment and Climate Change (MOECC) and its Minister, Glen Murray. To be clear, bottled water companies are accustomed to being regulated by governments and, where there are credible, transparent policy objectives set out, working with governments of all political stripes at different levels. Bottled water is classified as a food product and producers are subject to regulation by Health Canada, which are enforced by Canadian Food Inspection Agency. Within the provinces, bottled water companies are regulated by environment ministries, which closely monitor water levels and issue water taking permits (or do not) based on the best available science, informed by professional hydrogeologists. Needless to say, bottled water companies have commercial imperatives to ensure that water supply remains sustainable, so that they can remain in business. There are those who oppose the industry, and we respect people’s right to express their opinions within the democratic process. Given that bottled water companies operate within the laws of the province and country, the onus is on those who oppose the industry to provide proof, based on science and not on emotion, to substantiate their opposition. There are well established rules of the game for everyone on all sides of these issues. In all of these processes, government plays an important role as arbiter to adjudicate differing perspectives while advancing sound economic, environmental, and social policy. Such was the case in 2007 when Ontario announced a new Permit to Take Water (PTTW) regime, which was implemented in 2009. The government of the day listened to the industry, its opponents, and considered the question within the legal and constitutional, scientific and technical, and economic and employment perspectives to arrive at the new program. The CBWA and its member companies were not enamored with the new fee structure but respected the process and have been paying the PTTW fees ever since. Late in 2016, the Ontario government began a series of new initiatives which can only be described as a regulatory assault on the bottled water industry. Given the lack of scientific evidence to support the change in the province’s disposition against bottled water, we can only conclude that this has been driven by politics, in response to small but media savvy groups who oppose the industry. As well as being fundamentally wrong, these comments indicate the Premier’s bias, and will undoubtedly play a role in the MOECC’s deliberation of any new PTTW fee, which was posted for consideration a month after these comments. How likely is it that officials in a government department can be objective on a question when the head of that government has publicly predetermined an outcome? The answer is, not very likely. Not surprisingly, the MOECC has proposed that the PTTW fee increase from $3.71/million litres to $503.71. The government is not content to financially punish the industry, however. 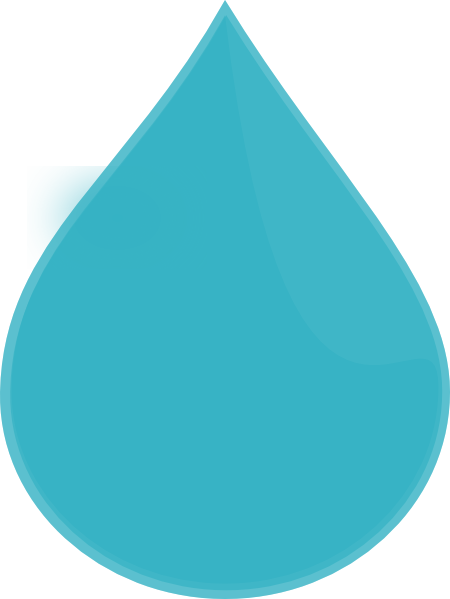 During Water Week (March 2017), the MOECC’s own twitter account posted a number of pro tap water tweets. The CBWA has no issue with this whatsoever. What we do have an issue with is the anti-bottled water messages posted by the Ministry. These messages did not emanate from a group of activists; rather, they came from a government department that is concurrently adjudicating submissions from not one but two Environmental Bill of Rights postings an both the technical procedures that bottled water companies must adhere to in future and the proposed new $500 fee. Again, given that the MOECC has demonstrated a bias against bottled water, what is the likelihood that that the same ministry is considering these policy questions objectively and fairly? By contrast, the MOECC’s tweets about how planting trees reduces CO2 emissions did not include anti-car messages. Perhaps the most egregious indication of the Wynne government’s bias against bottled water comes from the Minister himself, Glen Murray. In his personal twitter account, on March 27th Murray endorses the Wellington Water Watchers, saying “This is a group well worth supporting. Please get out to this important event.” The event in question is a fundraiser to financially support the group; essentially, the Minister encouraged people to attend and donate to the Wellington Water Watchers in order to finance their anti – bottled water activities. In a word, this is shocking. The group in question seeks to outlaw Nestle Water in and around Guelph, and the entire bottled water industry in Ontario. They seek to unemploy about 350 Guelph and Wellington County residents, and several thousand others throughout Ontario. Strange that while Premier Wynne and her Economic Development Minister are travelling the world, trying to get companies to locate here and create jobs, her Environment Minister advocates for job losses. The group is very clearly on one side of these issues, as they are entitled to be; however, that the Minister who is presumably presiding over the adjudication of those same issues should endorse them, and aid in their fundraising, obviously means that the bottled water industry faces a bias within the provincial government and is unlikely to see a fair outcome that is based on science or facts. The Wynne government has, sadly, chosen to jump into the fray rather than maintain the fair and impartial role that governments in Canada have traditionally adopted. In the absence of a referee, or when the referee clearly favours one team over the other, how is fairness maintained? This is a question that Kathleen Wynne and her Environment Minister will have to answer.